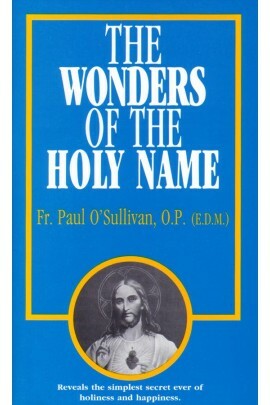 The Wonders of the Holy Name By Fr. Paul O'Sullivan, O.P. The Wonders of the Holy Name. Few Catholics today know about the amazing power of the Holy Name of Jesus. Urges us to invoke the name of Jesus often. By reverent use of the Holy Name, we can glorify God, call on His aid, pay our spiritual debts, assist the Poor Souls, etc. Remarkable! Galatians 2: 20. And I live, now not I: but Christ liveth in me.